Content marketing costs: How much should a blog post cost? When it comes to content marketing, there’s really this huge range of offerings that you’re dealing with. So let’s say you are an actual company and not just a solopreneur, you have paying customers or solid funding, and a working business model. Author themarketerPosted on November 13, 2018 Categories Content marketingLeave a comment on Content marketing costs: How much should a blog post cost? What I do like is the single-track approach. They don’t put together an event where you have to pick and choose, but instead thoughtfully get the right speakers talk about the right things. It’s like the difference between going to a restaurant and having a huge menu to choose from, versus going to a restaurant with a set menu, where the chef can focus on creating ONE great experience. I’d rather go to a place where I trust the chef enough to put together a great meal than one who has a menu featuring Italian, French, Spanish, Indian, Thai and Japanese cuisine. Wouldn’t you? Overall the email feels a bit cluttered at times, and I’m really not getting it visually. The big banner takes up a lot of attention-space, without really compelling me to learn more or take the next step, I’d either come up with something stronger here or just get rid of it. The copy itself is also not my favorite: “Experience digital marketing in ways you never thought of”. Where’s the benefit in that for me? I’m not interested in “experiencing” digital marketing. What I am interested in is: will reading this email (instead of hitting the delete button), and eventually going to the conference help me become a better marketer, hit my numbers, achieve my desired outcome? I do like however that they highlight the opportunity to network with 1500 marketers. Google Keyword Planner used to be the go-to-tool for SEO 10 years ago. But they’ve been removing more and more data from the tool. It’s still a great tool, just not for SEO folks anymore. Now, it’s mostly of value to advertisers who want to run AdWords ads. a 10-minutes mountain biking gear hacks video takes about 1 day to 1,5 days of filming + 1,5 days of editing. BUT the long part is coming up with the hacks—that takes months. Here’s an email Evernote sent out to users of their free app to get them to upgrade to their premium app. 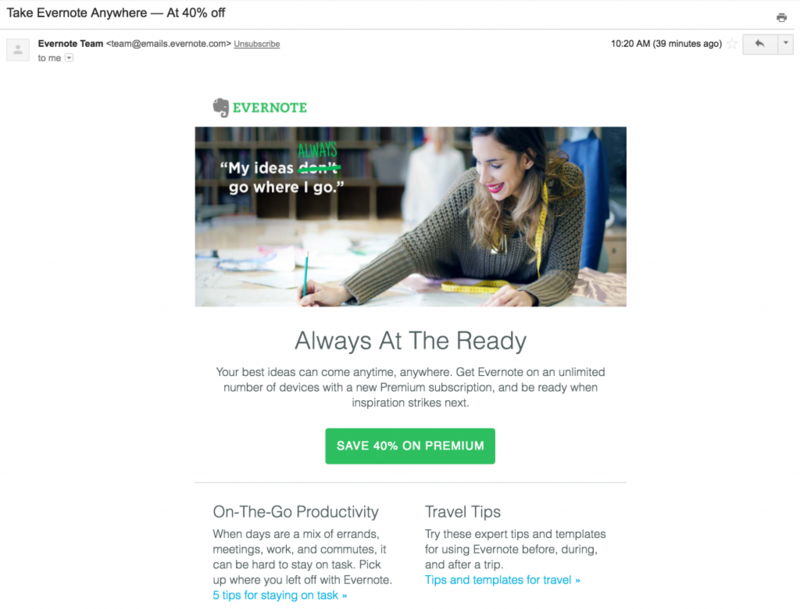 Leading with a 40% discount offer, and the ability to “take evernote anywhere”, which is compelling because you can use the app on unlimited devices as a paying user. The button copy is also straightforward and compelling. Instead of “SIGN UP FOR PREMIUM” they again focused on “SAVE 40% ON PREMIUM”. The graphic and overall feel is very on-brand, and they still add value to this email by linking to advice on how to stay productive and how to use their product when traveling. Looks like a great alternative to libsyn, blubrry, and soundcloud. Super slick player, great analytics, and podcasts like Y Combinator, Dell, IndieHackers are using them. 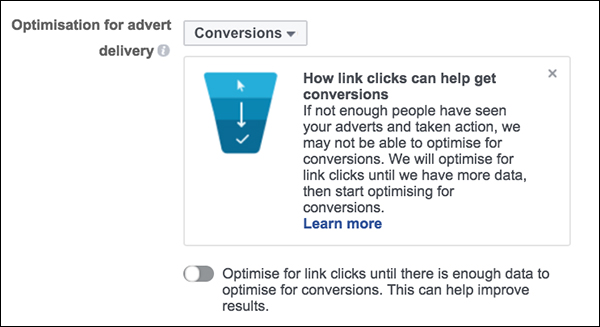 Facebook advert optimization option: Optimise for link clicks until there is enough data to optimise for conversions. Among the (relatively) new options to optimise the delivery of your ads, there’s this: Optimise for link clicks until there is enough data to optimise for conversions. In a recent episode of the Perpetual Traffic podcast, Molly Pitman shared the results of testing this option enabled vs disabled. This test has only been running one week, so it’s possible that once this campaign runs longer, this could change. But that’s almost a three dollar difference right out of the gate. This was for webinar registration. So the takeaway here is to NOT enable Optimise for link clicks until there is enough data to optimise for conversions by default, and if you do, to test it. Author themarketerPosted on September 20, 2017 Categories Facebook adsLeave a comment on Facebook advert optimization option: Optimise for link clicks until there is enough data to optimise for conversions. B2B companies are making heavy use of cold emails nowadays, and there are plenty of sites that offer cold email templates which are ready to use. A great resource to look at if you want to see what B2B companies are actually doing to drum up new business via cold emails. 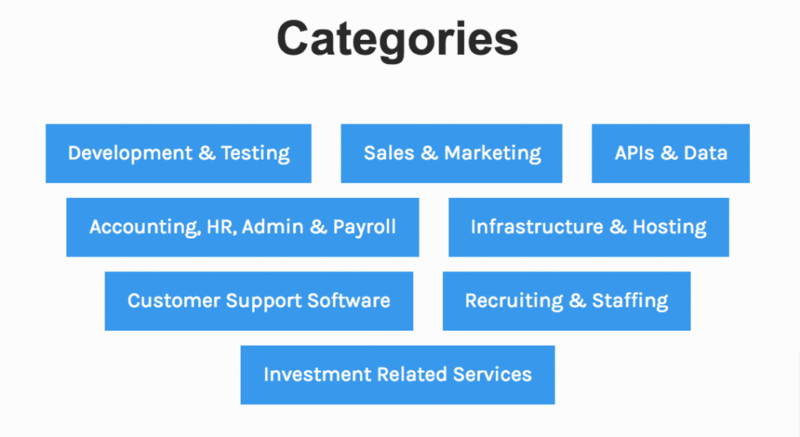 So if you’re in any of these industries, it’s particularly useful to check out what some of your competitors are doing. To be honest—many of these emails aren’t particularly creative, but there’s still value in going through them to get a feel for what’s common practices, what you DON’T want to do, and in some cases you’ll discover a great idea you just want to use for your own cold email campaigns. The author of the post has gone through the trouble of giving you a breakdown of what makes these emails work, what’s good about them and what not, and he’s got a good way of thinking about these things. So there are some really valuable lessons in there, plus it’s just recently been updated (September 2017). Worth reading this as well—all three of these people are killers when it comes to B2B sales. It’s a very, very short and succinct email that’s just super-well crafted. The results of the email? That’s really impressive. Now whenever you read about open and response rates, you need to keep one thing in mind: in and of itself, that tells you very little about how good the email actually was. A lot of these factors depend on the quality of the leads the emails have been sent to, and the sample size. For example, someone might claim “this email got a 73% open rate and a 19% open rate”, and that’s great. But how many prospects did they send this email to? If it’s been 100 prospects, will these numbers still hold up when they use the same email on 10,000 prospects? And how did they source them? Can they scale that approach, and keep the quality of the leads consistent? In many cases you’l find that it’s not just the cold email that determines the open and response rates, but the selection of leads you’re reaching out to. If you’re looking for a cheaper alternative to WPEngine, check out Flywheel. I’ve heard some people say they’re not just cheaper but also actually faster. Notes from a recent episode of Evolving SEO with Noah Kagan. what is the activity i can double? what’s the activity that i can kill? Noah Kagan’s original marketing plan for Mint was just a simple doc. system = a checklist. can be a spreadsheet. Contains all the steps that need to be executed to create the desired output/result. People spend too much time creating content, but not enough time promoting it. If the people who could benefit from your content don’t hear about it, it has zero value. Probably because when you create, it’s fun, it’s safe, you’re sitting at home creating something. Versus promotion, you’re putting yourself out there and exposing yourself to other people’s judgment. Other people will judge your work, will judge you. But that feedback is what will really make you grow. ^ that’s how he’s doing it right now. might change in 6 months. Then follow up. Tell them you read their post and loved it, did something with it and something great happened. Stuff like that. Over time it grows into a relationship if it’s a good match. Brandon Wells is doing Noah’s YouTube videos, Noah is paying him $2,000/month for this. Here’s an example of these videos.